Have you ever formed a time loop while tying your shoes? Probably not. But have you ever read a book or watched a TV show or film where someone experienced a day over and over again? It's more than déjà vu -- it's actually happening on repeat, sometimes with different results, sometimes with the same results, and it seems as if it will never stop repeating - until, of course, the character finds a way to make it stop. Time loops are not to be confused with time travel, another of my favorite sci-fi plot devices. In time travel, one moves forward or backward in time, willingly or otherwise. Doctor Who has time travel. The Boys are Back in Town by Christopher Golden has time travel. Groundhog Day, however, has a time loop. This film is so well-known that he is often referenced by characters experiencing time loops; more than once, I've read or heard a character say, "This is like Groundhog Day," rather than, "Gee, I'm experiencing a time loop!" Many movies and television shows have explored time loops. Consider, if you will, the episode "Shadow Play" on The Twilight Zone, the Buffy the Vampire Slayer episode "Life Serial," "Monday" on The X-Files, Supernatural's "Mystery Spot," or "And Those We've Left Behind" on Fringe. Some of these loops have been comedic, others dramatic, with the best ones (in my opinion) being those which deftly mix the two. Another clarification: Plots such as those in the television series Tru Calling and Seven Days (the latter of which I sadly never saw when it aired) weren't considered to be true time loops: both shows had worked off of a second-chance premise, with Tru repeating a day in attempt to save someone's life, while Frank used the Chronosphere (also known as the Backstep Sphere) to go back in time seven days to "avert disasters." Like the novel The Time Traveler's Wife, Before I Fall has no overt sci-fi elements: there are no gadgets or gizmos or time machines that the characters use, accidentally or otherwise. Neither of those books have wizened characters who assist the protagonists with magic or explain the rules of the game to them. Instead, Henry and Sam have to figure things out (or make things up) as they go along. However, while Henry has Clare to confide in, Sam tells no one; while Henry travels through time involuntarily, Sam keeps repeating the same day involuntarily. The NeverEnding Story by Michael Ende, the fantasy novel that has owned a piece of my heart since childhood, also employs a time loop. It is not the main plot, but rather just one of the many pieces of this elaborate and imaginative story. I don't want to give anything away; I'd rather encourage you to pick up the novel and discover things yourself. Whether or not you've seen The NeverEnding Story movie (which I think is wonderful) or the subsequent sequels or other film/TV attempts based on the book (which didn't compare), I implore you to read the original book. Now, if you want to get technical, I haven't read the original, Die unendliche Geschichte, because it's in German, which I don't know. Instead, I've read the English translation by Ralph Manheim. But I digress. Time loops are delicate things which not always treated so delicately, nor do they always have to deal with delicate matters. Time loops are not always handled or broken in the same way. 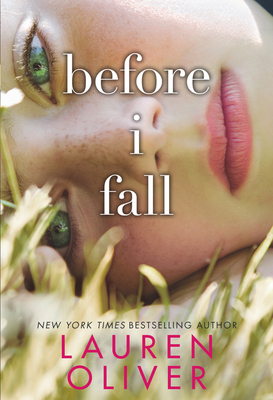 Sam's story in Before I Fall is nothing like Phil's in Groundhog Day, and when they finally break their loops, they do so in completely different ways. The parameters and circumstances established by Danny Rubin in Groundhog Day do not apply to Sam. Likewise, though concepts such as chaos theory, the butterfly effect, and fate are discussed to different degrees in many time loop stories, they are never exactly the same - unless, of course, you personally choose to read that book or watch that episode or movie over and over and over again - which, in some cases, I wouldn't blame you for doing! When they're really inventive and strong, time loop stories can be fascinating. Some of these stories benefit from a second reading or viewing, because you notice things you may not have noticed the first time through. Having a lackluster weekend? Go read or watch someone dealing with a time loop. Afterwards, you'll probably be happy that you are moving in a forward direction . . . or are you?